Justin Scroggie, chief creative officer at The Format People, runs through 10 common misconceptions about branded entertainment, arguing that we can either bemoan the infiltration of brands into programming or embrace it. Using brands to fund entertainment is far from new. In 1873, Jules Verne deliberately included real shipping and transport companies in his novel Around the World in 80 Days. In the 1890s, the Lumiere Brothers sold advertising space in their films to Lever Brothers, in return for publicity and distribution: check out the barrow advertising Sunlight Soap in Parade of the 8th Battalion (on YouTube), arguably the first ‘soap opera.’ One hundred and twenty eight years later, Unilever is still at it! Entertainment may be funded by advertising a brand. But that does not make it branded entertainment. Many media terms are loose and ill-defined (what is a ‘reality show’? ), but generally branded entertainment refers to a programme or series where the brand is an integral part of the programme’s narrative. 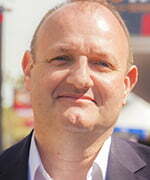 In 2006, Blendtec’s marketing director, George Wright, filmed a series of short videos, called Will It Blend?, in which CEO Tom Dickson demonstrated the toughness of the company’s blender using items like marbles and garden rakes. Within five days the videos had six million views on YouTube. The blend (sorry) of brand and original narrative entertainment was – and continues to be – seamless. Most brands operate through an Agency, whose job is to promote the brand’s message, rather than the brand or the product itself. Too often, producers view the product as the brand. But a brand isn’t a product – it is the idea or image of a product, and a promise of an experience. Take Red Bull. The product is an Austrian energy drink containing caffeine and sugar. The image is about striving to fulfill your potential, especially through extreme sports. Promoting the message can, of course, grow sales and build customer relationships. But you don’t always need the product in view every few minutes in order to put the message across. It can be conveyed in another way – for example, Red Bull’s association with a set of values. But isn’t branded entertainment ultimately about shifting units? And if not, what is a brand agency trying to achieve? Yes, there are products to sell. But manufacturers have access to more direct means of selling a product. That’s what advertising and sales teams are for. But the purpose of a branded programme may have a number of aims, which indirectly support more explicit sales activity. Understanding these aims is critical for a broadcaster and/or producer to develop a show. Agencies are primarily interested in KPIs. Ah, KPIs – an alien, even dirty acronym for producers. Why should my wonderful series be reduced ultimately to key performance indicators defined by sales people? KPIs like ‘increase brand awareness’ or ‘achieve a younger profile’ can be measured through ratings, or market research before and after the event. But they can much more accurately be measured through number of mentions on social media, clicks on a page, friends on Facebook, views on YouTube, or spontaneous media attention. If you know what KPIs are required in the first place, and build the means to measure them creatively into the format, then you can make a great show without undermining the narrative that producer and broadcaster want to tell. So long as producers and broadcasters see brands purely as a cash machine to fund their programmes, the quality of those shows, and the viewers’ acceptance of them, is going to be hit-and-miss. The agency has a brand whose message they wish to get across and measure. The broadcaster has a means of distribution and a potential mass audience it wants to serve and grow. The producer has the ability and talent to create original ideas and turn them into programming. Only by collaborating from the very start can all parties achieve their aims. There are branded programmes you might consider dumb. And unbranded programmes you’d definitely consider dumb. The question, we think, is whether it is the concept of a particular branded show that is low-brow, or whether it is the crudeness of the relationship between the brand and the show that feels dumb to the audience. Ultimately, if programme makers want branded entertainment to be smart, and there are many great examples of this too, online and on TV around the world, then we have to participate in the process and bring our creative energy to the table. We live in a world of multiple online channels, where a child of six can shoot their own blockbuster. Perhaps brands don’t need to filter their efforts through a broadcaster. They can simply create their own channel and sell products through it. The first part is true. The second is less true. Advertising is about persuasion, not preaching to the converted. And people who subscribe to a brand channel are largely the converted. Yes, a subscription helps to build a dedicated community. But most brands are still after a mass audience of new purchasers. Secondly, broadcasters have the skills, training and experience to run a channel. Brand agencies have different skills. There are recent examples where major brands have either dropped their own channel, or quietly sub-contracted its operation to broadcast professionals. Then there is the economic model. On TV, the more views you have, the more the cost of making a show is amortized. For a video-sharing website, the more views you have, the more it costs them to deliver it. Both Channel 4 and Channel 5 in the UK recently withdrew all their programming from YouTube in order to focus on their own catch-up services. There is plenty of great branded entertainment exclusively online. In the comedy field, alone, I could mention The 4 to 9-ers or Always Open. The web offers benefits to viewers. They can interact directly, even live with participants. Programmes play at their natural length – from an eight-minute comedy to a three-hour drama. Viewers can get enhanced experiences along with the show, like buying the clothes they see onscreen, on Fashion Star or Mango’s What Should I Wear. And the web is the natural delivery vehicle for KPIs. Every page visit, click, view and tweet is measurable. But it isn’t a case of either/or. TV can sit alongside (and inside) the web. And TV has always learnt from other platforms – theatre, cinema, web, mobile – and then used its mass appeal to redefine. Tent-pole shows like Idol deliver huge audiences by offering live shared experiences that go far beyond the TV screen. The delivery of TV programming is migrating online. But it is up to the industry to determine who makes it. Viewer acceptance of branding varies from territory to territory. In territories where TV began as a commercial model, tolerance is higher than in territories where ad-free state TV was always the benchmark. Tolerance is also age-related. In a branded world, younger people more often expect to exchange commercial activity for benefits. What do viewers hate about branding? Well, we know many dislike disruptive advertising. So, if we can build the brand into the show and lose the ad breaks, as several subscription channels we know are doing, it’s a benefit. They also dislike crude product placement. But products need not be the vehicle to convey the message. And if the product is relevant to the narrative, like the cars in GT Academy or the tools in Screw*d, viewers have less of a problem. In the end it’s a trade-off. Viewers are attracted to new shiny things, agencies live in the now, so branded programmes can offer cultural relevance to viewers. Viewers like a reward for being sold to. Branded entertainment often rewards viewers, from exclusive or direct access to a product, to an event that could only happen with brand support, to direct communal involvement in the buzz around the show. Finally, viewers like a good story that engages their emotions. And that is something brand and ad agencies are very, very good at: connecting directly with the user’s limbic system, which controls our emotions and behaviour. Broadcasters and producers are also very good at this.